What does 'heart-centred' business really mean? I could fill an entire book with my answer, so let me just focus on one vital part of my personal perspective on this. To be a heart-centred entrepreneur is to truly care about your clients and your tribe. Let me be clear about what I mean by 'tribe'. I enjoy the use of this word very much but it has occurred to me that different people mean different things when they use it. My tribe is effectively my participatory 'audience'. They are the people who interact with me, follow my work, give me their feedback and share their stories with me. They 'share' my content, give me their opinions on stuff and request that I cover certain topics that they'd like to see. They are the presence which has gathered around The Four Queens. They are the people I am addressing when I write, film or otherwise create and package my thoughts and perspectives. They do not need to become paying clients to qualify for entry to the tribe, nor do they necessarily have to agree with all of my ideas. They may not enjoy everything I put into the world, but for one reason or another, they have chosen to come along for the ride and offer me their good wishes. Over time, this wondrous group of people has grown in size. This means that I receive more comments, more questions, more video requests and more personal stories than I did at the beginning. At the same time, my days are slowly becoming fuller and more business-related whilst retaining their 24-hour format. Nothing has changed in that regard. I have not yet learned how to fold space or pause time, more's the pity! So, how does a heart-centred business owner stay heart-centred when it becomes impossible to answer absolutely everyone's queries and emails? This is something I've had to address and consider more than once. I have often found the reality of time pretty unpleasant! My inner Queen of Pentacles was the last of the four to actually become conscious and productive. For a long time, she lived in shadow. She refused to accept her own limitations and would spend hours trying to respond to everyone until darkness turned into daylight. Conversely, she would sometimes feel so overwhelmed by her desire to accomplish everything and reach out to everyone that she simply hid under the covers and hummed a tune, pretending she was in a kingdom made of clouds in which time was no object. I still struggle with my inner Queen of Pentacles occasionally, even though she stepped out of the shadows quite some time ago. The essence of this particular archetype is realism. Without it, I just can't work out my abilities or my boundaries. Getting real is hard. Facing the truth is hard. Worrying about disappointing people or letting people down is hard. One day, as I was experiencing these low-vibration concerns and feeling utterly swallowed by them, I closed my eyes, breathed deeply and said aloud, 'Everything I give is enough'. It has to be enough, after all. Otherwise I'll just be a creature chasing my own tail forever. I want communication with my tribe to be conscious because I believe that conscious connection is sacred. I love responding to emails, creating videos which cater to people's needs (provided they align with my own interests), checking out people's feedback and answering queries. But I have learned how to respect my own boundaries and stop beating myself up when there's more to do than I realistically have time and energy for. This is something you may need to learn to do too if you're in business or considering the possibility of beginning a heart-centred enterprise of your own. My purest and most sincere advice is to make your peace with this reality as early as possible. You will disappoint someone. You will let someone down somewhere along the line. You will not live up to every single person's expectations. You won't let people down because you want to, because you are malicious or because you are inauthentic. You will let them down because you are not magnanimous and you are not a robot. It is your humanity which actually enables you to even conceive of a heart-centred business. It is your humanity which will allow you to make that business warm and inspiring and delicious. It is also your humanity which will lead you to piss people off occasionally. That's the way the cookie crumbles. It's never too late to reply to someone's email, comment or question. Don't tell yourself that you should simply delete a piece of correspondence just because you failed to reply to it for six months. If you're organising inbox and you come across something you initially overlooked or forgot to reply to, better late than never! Most people hugely appreciate the gesture and will understand that you have a lot on your plate but that you're operating with the best of intentions. I recently discovered a random hidden message folder on Facebook. (It's called 'Other' by the way, and you might wanna go check yours if this is news to you. It's probably filled with stuff!) My 'Other' folder contains almost 200 messages from people in relation to The Four Queens. Some of them are from 2012. Needless to say I haven't finished working my way through them all yet. Nor do I intend to close my business and drop all of my social engagements in order to speed up the process because that's simply not plausible and would be a major overreaction to a simple mistake. Instead I have allocated some regular time to dealing with the backlog and simply apologising to people along the way for taking so long. Do not freak out and fall over your own feet to meet people's expectations. This is a one-way ticket to a complete and total loss of perspective. Consider the following ten points to be somewhat of a compassionate brain dump to help you get to grips with boundaries and best practices when it comes to business correspondence. 1. 'Canned responses' don't really work for heart-centred entrepreneurs offering services which are intended to help people drop into their hearts. When someone reaches out to you, reach out to them in return. However, partially canned responses do save time. 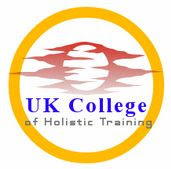 You may find, for example, that you receive many personal stories from people about their reiki studies because teaching and talking about reiki is the centre of your business. There's no harm in preparing an introduction which conveys your thanks for the message, encourages the individual to continue with their work and states your appreciation for the fact that the individual is following your content. From that point, you can create your personalised response which answers the specific points in the email. This simply saves you from writing the first part over and over again. 2. If you have reached the point at which it is impossible to respond to everyone's comments on your social media platforms, stop trying to do that. Believe me, it gets a bit silly and you're likely to have a meltdown. Instead, use the 'like', 'thumbs up' and 'favourite' options to show engagement with the comment. If you have time to respond to individuals, absolutely do so! But don't convince yourself that you're a bad person if you don't! I like to try and respond to any questions and then see what I can do from there. If I have time on a certain evening, I love nothing better than to trawl through older videos and respond to random comments. Again, it's never too late to reach out to someone. 3. Don't fall into the all-too-common trap of only responding to other content makers or business owners. Those who don't have a prominent 'voice' in your industry via a Youtube channel or blog are still worthy of having their queries answered. It's easy for human beings to see a name or face they already know and gravitate towards it. But this creates somewhat of an 'exclusive club' vibe and can be unpleasant for someone whose question is left hanging while you get into an endless back-and-forth comment rally with someone who has a popular channel. 4. Conscious connection works both ways. You are not obligated to engage with anyone who is cruel to you, passes judgement on you or attacks you for not having time for them. You are not obligated to engage with anyone who is trolling your content, making passive aggressive jibes at you - you get the picture. Whether you choose to simply ignore them or block them from being able to respond, don't ever convince yourself that you are required to RSVP to their nasty little dinner party. They will soon get bored and leave the table when they realise you are not there to have food thrown in your face. 5. Someone who questions your opinion or disagrees with your perspective is not necessarily a troll. If you put a firm standpoint out into the world, expect other people to give you their firm standpoints in return. A debate is not the same thing as an argument and many people actually enjoy debating with someone they see as intelligent and open-minded, so take it as a compliment provided it is polite and diplomatic. Try not to be defensive if someone tells you that they see things in a different way and proceeds to tell you why. If you were bold enough to give your opinion in the first place, the person offering a contrary opinion probably assumes that you don't take issue with them doing so. Obviously, this works on a case-by-case basis. Most people like to think that they are good at seeing the difference between someone engaging in debate and someone wearing a troll hat. Just check in with yourself and make sure that you are on the right side of that line. Here's a hint: Responses that start with, 'You are wrong and you obviously don't know what you're talking about' go into the troll pile. Responses that start with, 'Interesting thoughts! I see things a different way however..' can go into the polite, well-intentioned debate pile. 6. When someone starts to gather a 'tribe' online, something logical happens. The creator of the content is one individual. The people who want to converse with the creator of the content are legion. People who are unwilling to understand that and cut you some slack if you fail to get back to them have a problem which is bigger than you can solve. So don't try. Do your best, give what you can and remember, all that you give has to be enough. - Give people the deciding vote on something. Leonie Dawson regularly designs a few different covers for her free e-guides and whatnot. Then she posts them on Facebook and asks people to give their opinions on which one is the best. She also asks people what they would like her next blog post to be about and so on. - Ask a question. Let your tribe talk to you and each other in a way which has been specifically designed so that you have time to answer. 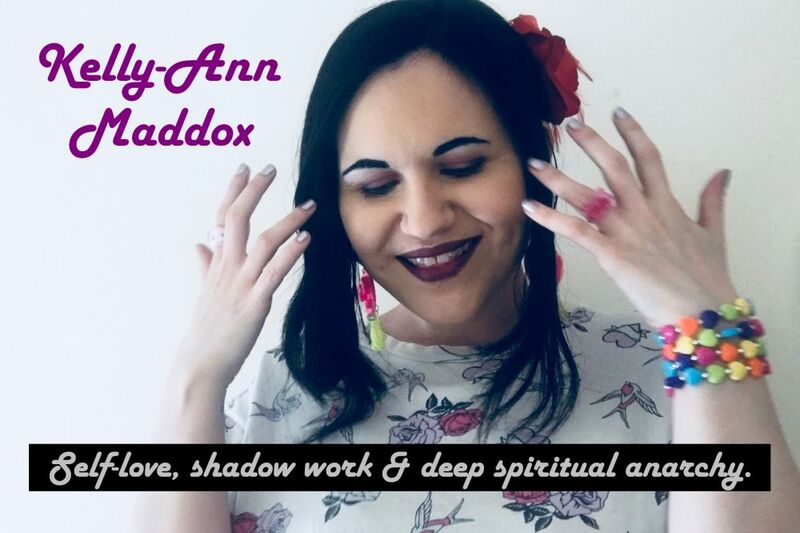 I recently asked people which new decks they'd recently purchased on Facebook and we all had a big ol' natter about Tarot! - Pay attention to the things people regularly want to know and create a love-drenched FAQ page on your website which answers the questions which seem to really matter to people. Alternatively, do regular Q&A blog posts or videos to give people the chance to ask you whatever they like (within reason). 9. Take a look at your boundaries in other areas of your life. Sometimes you'll find that if your business boundaries are weak, the boundaries in other areas of your life are pretty unhealthy too. Practice declaring your needs and sticking to your limitations. Practice saying, 'No' and meaning it. Work out why you feel as though you're not entitled to defend your boundaries or make time for yourself. That stuff bleeds into business. Stem the flow from the source. 10. Use this mantra whenever you're in need of it: 'All that I give is enough.' If anything in this blog post has resonated with you, I recommend saying it aloud right now. Say it. Feels good, right?